This newsletter is published semi-annually (May and November) and includes information on Society activities, member news, and upcoming events, as well as other information of interest to our physician members and the Alliance. An on-line version is also available. The Medical Society, through the Medical Association of the State of Alabama (MASA), and our delegates to MASA and the AMA monitor legislative and regulatory activities in Montgomery and Washington to advocate in the interest of physicians and their patients and to ensure that members’ views are expressed and taken into consideration during the policy formation process. Each year, Medical Society members may participate in an Annual Legislative Reception in Washington hosted by the Medical Association of the State of Alabama for the Alabama legislative delegation. A broadcast fax service offered to our membership when the need arises to disseminate information to the medical community quickly. It delivers up-to-date information directly to the physician’s office. An email service is also available through the Society. The Medical Society provides a full mailing service at reasonable rates for medically-oriented correspondence. This service is particularly helpful for office relocations and announcing new physicians. The Society can also provide mailing labels at a nominal cost to our members. Contact Lori Parker at 476-9494 for rates and mailing piece requirements. Our members may request a copy of the directory at any time free of charge. We maintain our mailing list with the most up-to-date information on our members, and print each directory as required. Periodically, we also publish a Pictorial Directory. 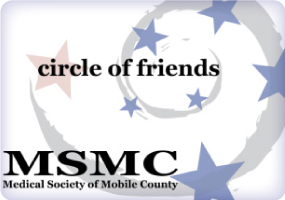 The Medical Society helps patients and members resolve misunderstandings, communication difficulties and fee disputes through this committee. This process helps to assure the highest ethical standards are adhered to in the physician-patient relationship. This is one of our most popular benefits. It contains the names, phone and fax numbers of all our members, along with contact information for all area hospitals, nursing homes, assisted living facilities and pharmacies in a quick reference format. The poster is published annually. Each year at the MASA Annual Meeting, awards are presented to physicians and lay people in several categories, including outstanding service by a physician, medical journalism, community service and other areas. The Board of Censors of the Society places names of physicians from our Society into nomination each year. These meetings are held in March, May and September. The Society’s Annual Meeting and installation of officers is held the first Tuesday of December. Announcements of meeting dates and speakers are mailed out three weeks in advance. The cost of the dinner at these meetings is included in your annual dues. The Trust is a 501(c)3 not-for-profit entity which enables Medical Society members to make tax deductible donations and memorials for their patients. The mission of the Trust is to contribute to worthwhile charitable non-political community activities, with emphasis on the support of scientific educational endeavors and the establishment of scholarships. 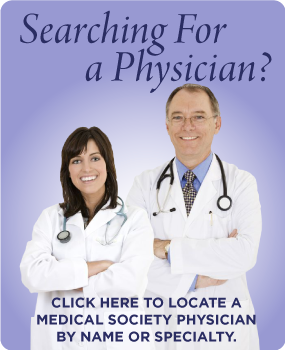 The Medical Society maintains an updated database that includes physician educational, certification and experience information. Both patients and physicians may call and ask for information on an individual basis. This information is also useful for patient referrals.